Because what's a vacation without great food? If you’re a Michigander, you know Traverse City is one of the best cities in northern Michigan. Not only is it on the beautiful Grand Traverse Bay, but there are amazing stores and restaurants downtown. If you’re looking for a summer vacation, this is the place to be. But before you check out your new vacation destination, you need to know where the best restaurants are. Luckily for you, I’ve done my research. Here are the top five restaurants you need to check out in TC. Georgina’s blends together Asian and Latin cuisine. They also serve American cuisine, like classic hamburgers and sandwiches. Why you should go: There are so many options at this restaurant, which is perfect for those in large groups. You won’t need to choose between Asian and Latin—you can have it all. Plus, the portions are huge. You’ll be able to have a late night snack or lunch for the next day. And did I mention the food is absolutely delicious? Georgina’s is not shy about spices. They embrace the different flavors with each cuisine. What to get: Definitely try the Pad Thai. Georgina’s Pad Thai incorporated whole peanuts into the rice-noodle dish. The different textures in the dish raised the deliciousness to a new level. Dish Cafe is a breakfast and lunch cafe that serves a great deal of different salads, sandwiches, creative quesadillas, and beverages. Why you should go: If you are looking for a quick and very tasty meal during your stay in Traverse City, definitely stop here. Their food is so fresh and tastes so healthy. 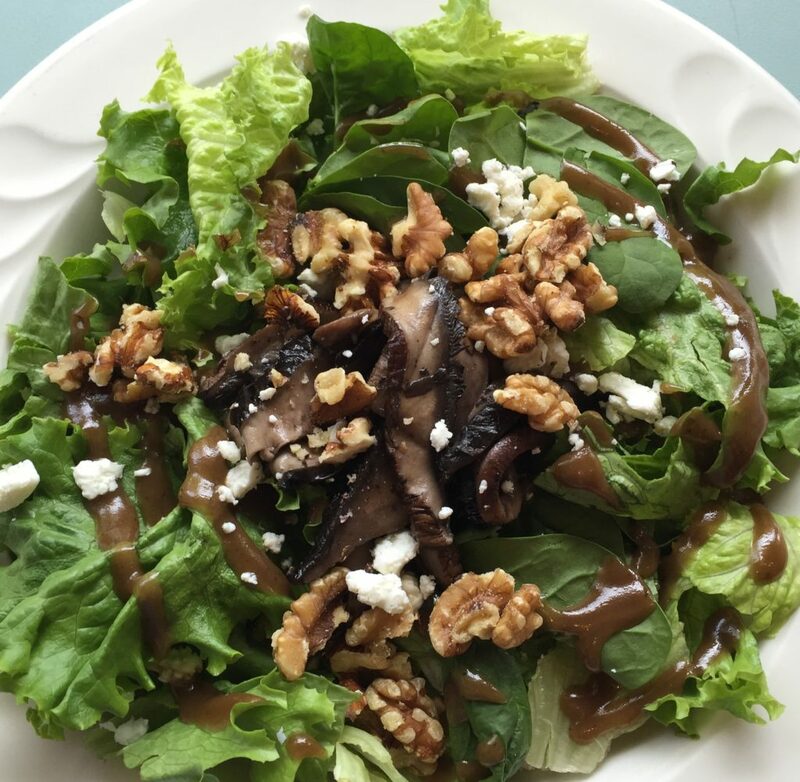 What to get: I ordered the roasted portobello mushroom salad, and let me tell you, it was lovely. It was a perfect ratio of salad dressing to lettuce to walnuts and cheese. Plus, the portobello mushrooms were roasted to perfection. Bubba’s is your average bar restaurant. However, they are known for their burgers. Why you should go: Sitting in the sun all day can make anyone super tired and hungry. If you’re feeling this, definitely check out Bubba’s. 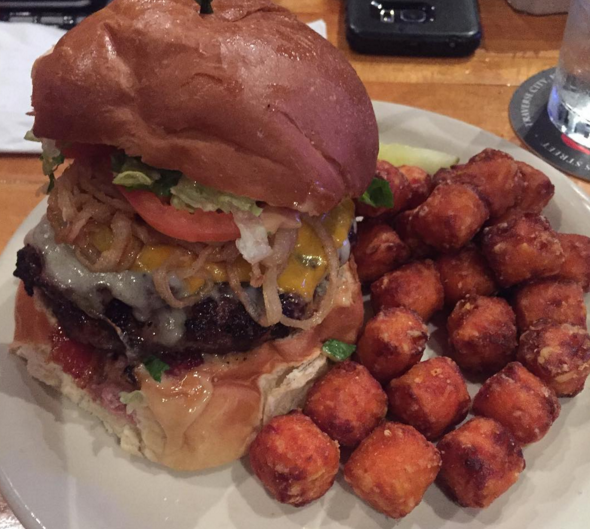 They are known for having the best burger in town. Plus, they have so many options on their menu, everyone in your group will be happy. What to get: A burger, duh. I got the veggie burger and it was delicious. In my experience, veggie burgers are either too dry or too mushy. This burger was extremely moist and full of rich spices. Roaming Harvest is a food truck that emphasizes the importance of local and sustainable food. They use produce from farms in northern Michigan and are passionate about helping local businesses. They also have restaurant in Traverse City called Harvest. Why you should go: When you order from a food truck, you know your food will be portable. If you and your squad have a jam-packed day of Traverse City festivities, eating something on-the-go is essential. All you have to do is hold onto your taco and walk, walk walk. And if you eat here, you’re supporting local businesses. Way to go. 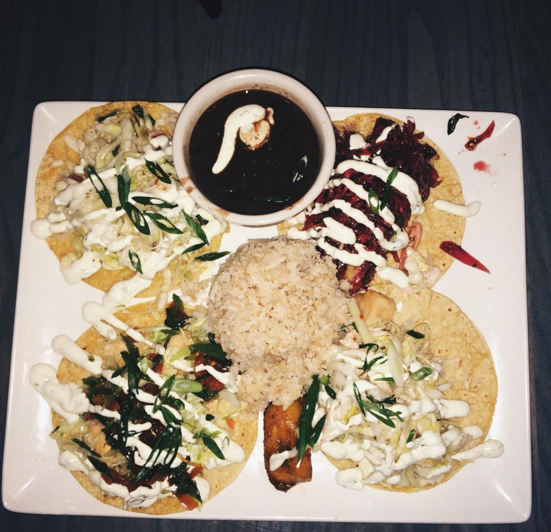 What to get: Roaming Harvest has the most delicious tacos. 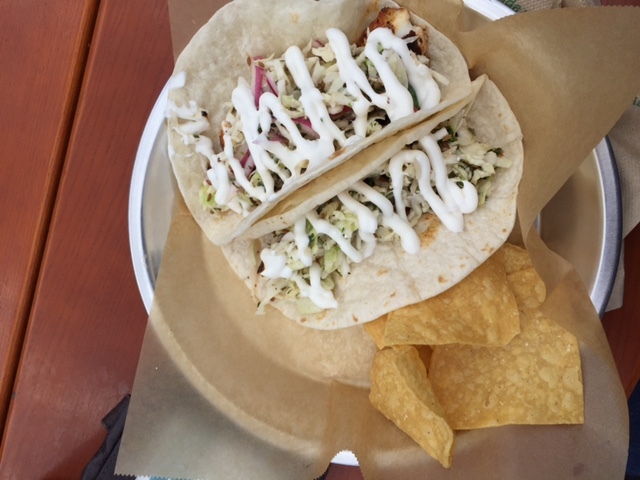 I got the blackened whitefish taco (pictured above) and it had to be one of the best tacos I’ve ever tasted. The citrus taste of the slaw with the creaminess of the sauce was exquisite. This is a Michigan favorite! Once a small pie shop, GT Pie has expanded across Michigan and not only sells pies, but also sandwiches, salads, quiches, and pot pies. Why you should go: This is a great place to check out if you’re vacation-ing with people who have allergies or sensitivities with certain foods. GT Pie has a nutrition information guide and a list of ingredients resource on their website. What to get: Besides getting a slice of your favorite pie, I highly recommend the spinach and goat cheese salad (pictured above). This salad truly tastes like northern Michigan. 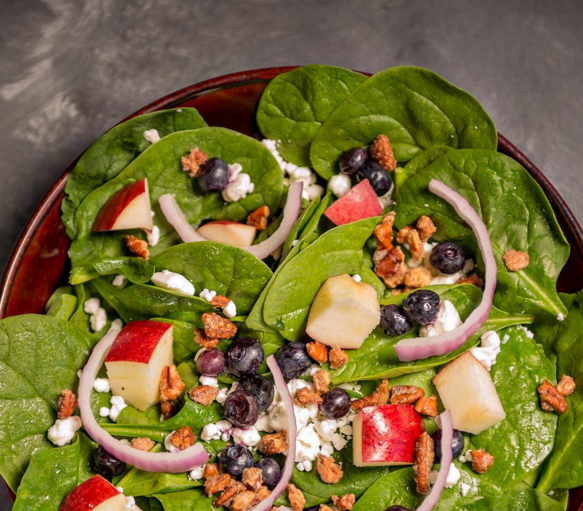 It features blueberries, apples, cinnamon roasted pecans and fresh spinach. Plus, this salad uses Michigan produce.